Are you wondering why your success always seems to happen to the other person and whatever you do nothing seems to work? Are you tired of struggling to make money for you and your business but you don’t know the first step to take? Are you ready for a breakthrough blueprint to blast through your struggles and claim your success? Then the Struggle to Success Breakthrough Blueprint is for you! But what is the Struggle to Success Breakthrough Blueprint? And I want to introduce you to my PROVEN 5-step SYSTEM that you can use to exchange your struggles for success whenever you are ready. I continue to use this system to coach both men and women to transform their lives, their careers and their businesses. And I can help YOU too. What am I talking about? It's the Struggle to Success Breakthrough Blueprint...A 5-STEP SYSTEM that takes you from AWARENESS, through ALIGNMENT, ADVANCEMENT, and AMASSING, all the way to AMPLIFYING where your success really takes off! I was at a pivotal point in my business when I spoke with Lorna about having a coaching session. Lorna helped me gain a clear, precise understanding and perspective of areas that were blocking the growth of my business and preventing me from embracing a higher level of success.Her supportive coaching style, coupled with her breadth of knowledge, skill, intelligence, thoughtfulness, creativity and depth of practical experience are exceptional. 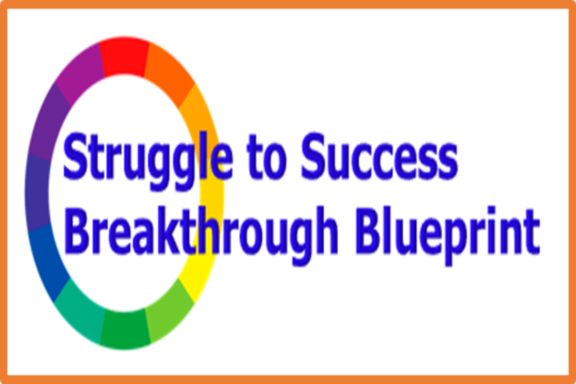 Don't wait, contact me right now so you can stop struggling and get you success breakthrough blueprint right NOW!